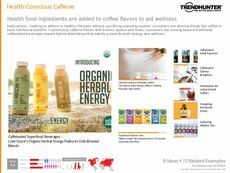 Find Better Ideas, Faster ® with a custom health food trend report, our PRO Dashboard and 80+ categories of premium trend reports. 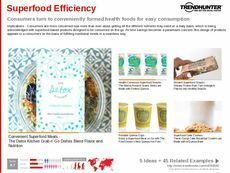 The expansive industry of healthy eating is thoroughly explored throughout this Health Food Trend Report. 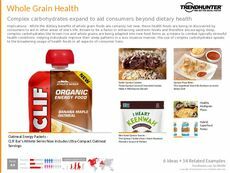 Readers will be exposed to the latest store-bought grocery items, restaurant concepts and subscription services offering nutritional and healthy options. 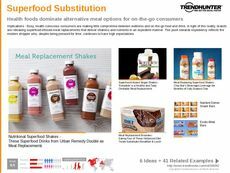 The marketplace for healthy food is vast and there are new products continue to emerge, making this report ideal for both food and healthcare professionals. 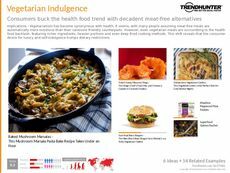 This report is designed to benefit culinary professionals as it will help them create desirable menu items for the health-conscious consumer. 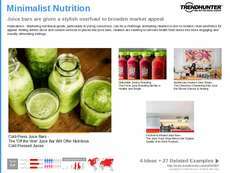 It can also help healthcare professionals and dietitians stay informed about the most recent trends and eating habits taking place among consumers. 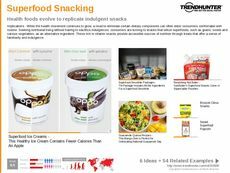 The Health Food Trend Report will expose you to the industry's latest trends while enabling you to better prepare new products and continue to meet the demands of consumers.